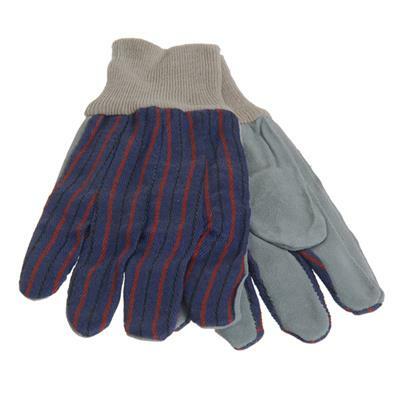 Emergency leather palmed work gloves for disaster relief or outdoor activities. These durable leather-palmed work gloves can be used to protect your hands against cuts and abrasions while sifting through debris after an emergency event such as an earthquake, hurricane, tornado, tsunami, winter storm, terrorist attack, flood, fire, accident, or other disaster. This low cost, high performance glove style offers continuous leather coverage of the palm of your hand. Knit wristband. One size fits all. Dimensions: 5" x .0625" x 10.5"
Provides protection from handling dangerous debris. Instructions: wear gloves during debris removal operations, using the palms of your hands to handle debris.